If you’re not a night fisherman, you may be missing out. Night fishing exposes you to those night feeders that just don’t come out during the day. Many species are simply more active at night. There are numerous reasons, some of which are tides and moon phase. Water temperature is cooler, especially in summer months. Many fish tend to dive to deeper waters during the heat of the day. But for whatever reason, many fish are just far more active at night. Although fish don’t see well at night, many fish rely on movement and smell to locate food sources. As a fisherman, it may be harder to maneuver at night, but that’s where the use of fish lights can be advantageous, not only for you, but also the fish. Fish can be triggered into a feeding frenzy once you introduce a light source, in particular, a submersible one. Submersible fish lights directly project into the water and cause reflections. The light creates a feeding environment for plankton and baitfish. We used to think that light simply attracted more insects but we now know that it’s more about attracting the plankton and phytoplankton that baitfish feed on. And where you have an abundance of baitfish, your predators are close behind. The more baitfish that are attracted, the more of a “frenzy” is created, luring the larger fish to an area of feeding abundance. This works for both day and night feeders. The wavelength spectrum of particular colors seem to work best. Just like the color green is easier on our eyes, green seems to work well with fish. Green and white fish lights tend to attract more freshwater fish with the color blue working well in saltwater. 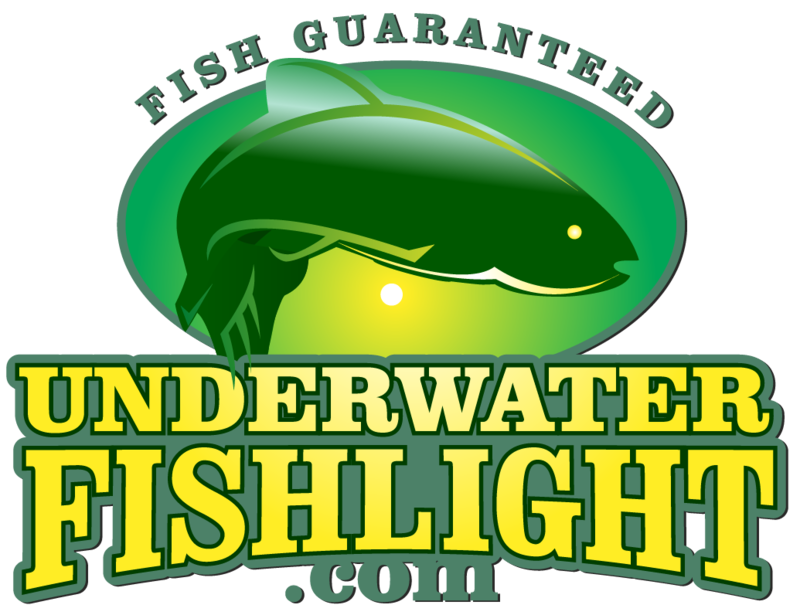 HID fish lights are the most powerful when electrical capability is handy. When an electrical outlet isn’t available for HID lights, there are now new and more powerful LED lights that can be powered off a 12v outlet port or battery from your boat. The best submersible lights offer 360 degree coverage. This should be done from an anchored boat so you have a fixed position. The fish will be attracted to a submersible fish light the way they are naturally attracted to light sources on fixed structures like docks or piers. These lights can be weighted or fixed to the boat with suction cups. More is better. Try two or three lights at once for a larger throw of illumination. Of course, it’s always important to make sure you choose a location where the fish are. If there are no fish, it makes no difference if the area is lighted or not. It’s still important to know your fishing spot. Too deep, too shallow, or not enough hiding spots for fish and your chances of catching fish will be limited. So check out your spot during the day first. Go ahead. Become a night fisherman. You may decide you like it better than the daytime and find that your catch is far greater with the use of an underwater fish light.